U-M President Dr. Mark Schlissel: Grit And Perseverance Will Get You Through! That’s the advice of University of Michigan president Dr. Mark Schlissel who spoke to me in his office as he begins his second academic year as the 14th president of the University of Michigan. Although Football is often on the minds of University of Michigan students and alumni President Mark Schlissel says while athletics is part of their community it is not their mission. Schlissel wants a major focus of his presidency to be on diversity, equality and inclusion. 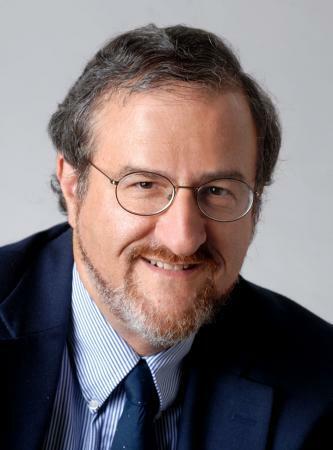 "I don't believe the university can achieve the level of excellence they aspire to without being as diverse as the society they serve," Schlissel says. He added that students spend a lot of time learning from each other as well as faculty members, and that he has always learned more from people with a background different from his own. Schlissel considers himself responsible for the health and safety of all students that come to study at the university. "Sexual misconduct is a problem not just on college campuses but in the 18 to 30 year old age group," Schlissel says. U of M conducted a survey last June about sexual assaults on campus and they are using the information gathered from it to target their educational and prevention efforts where they are most needed. Affordability and accessibility to a university education is on the minds of families and students. Schlissel says they have moderated tutitoion growth and that the cost of attending classes at the University of Michigan for in-state students who receive financial aid, which is 70%, hasn’t gone up in 5 or 6 years. Athletics is a target of tremendous passion not just on the campus, but across Michigan and for alumni across the globe, as shown by the many emails regarding it he's received over the last year. He feels football is the connective tissue that holds the community together. However, he doesn’t believe anyone mistakes athletics for the core mission of the University. They are a research and teaching institution. "Athletics is great fun and an important part of our culture but at the end of the day, our value to society is to be an engine of innovation, and to educate the best of the rising generation," Schlissel says. He adds athletics is part of their community but not their mission. As an MD who also has a PHD, Schlissel attributes his success to coming from a family that placed a strong value on education. Schlissel says he feels that when you have the privilege of being educated you also have a responsibility to pay society back for that privilege. He encourages students to learn to deal with the ups and downs of college and the challenges that come from not always being the best student in class. Schlissel also says its important for students to develop grit and perseverance and to keep their eyes on their goals and persistence along with the talent that got them through the front door will see them through. As president of the university, Schlissel conducts monthly fireside chats with students and meets with them in his office. Students can sign up and come spend 15 minute blocks with him discussing anything they’re interested in. Football, remains a hot topic on their minds. As well as diversity and affordability. Some come for career advice, and mentoring. New University of Michigan President Mark Schlissel has called increasing diversity on campus a top priority, but enrollment this semester included a slight dip in the percentage of underrepresented minority students. The group By Any Means Necessary wants specific action to boost minority enrollment. 89.1 WEMU's Andrew Cluley reports By Any Means Necessary is calling for the University of Michigan to implement a Texas style ten percent plan to boost minority enrollment. The University of Michigan is celebrating the inauguration of Mark Schlissel as the school's 14th president. Many students don't know much about Schlissel and have varied thoughts on what they want him to do. 89.1 WEMU's Andrew Cluley reports on what some University of Michigan students think about new President Mark Schlissel.